Well, well, well! It’s the last day of the year. It has been a great year for me and I hope 2014 was a memorable year for you, too. Looking back, maaaaan, I think I accomplished a lot this year, which makes me happy! Yey! During the second quarter, it was all about preparing for the Steps Project Active Lifestyle Fair with my business partners at TUTI Group. We were ecstatic to see more than 1500 participants at our first event. 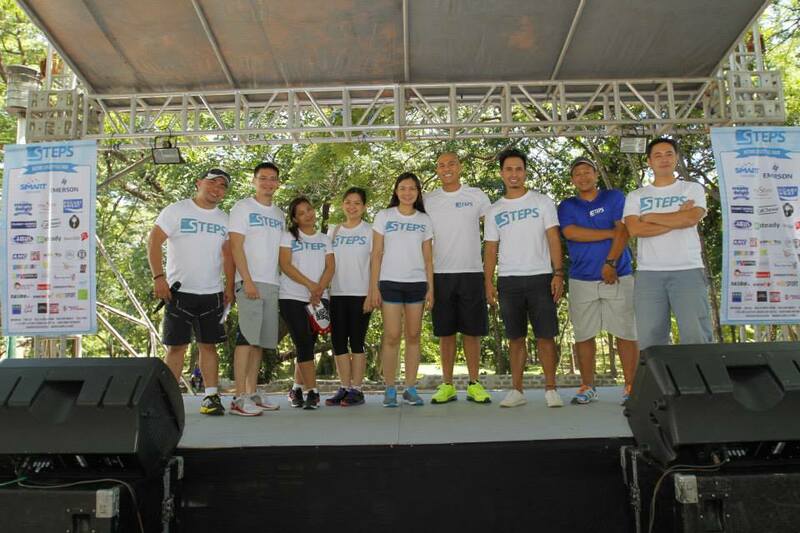 The event was really all about promoting an active and a healthier lifestyle. 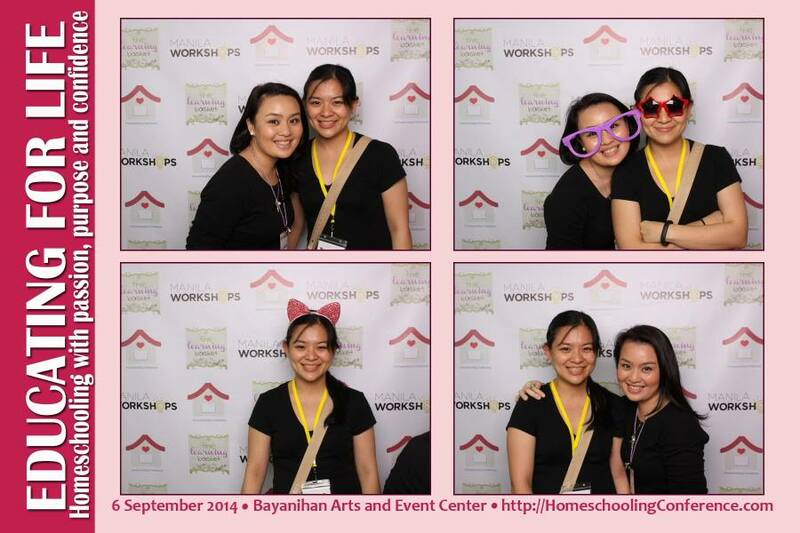 The third quarter was about preparing for the Homeschooling conference under Manila Workshops (my own company) and The Learning Basket. We were overwhelmed by the number of people who attended and wanted to know about homeschooling. We had a total number of 490 participants during that event. For the fourth quarter, Manila Workshops together with the WAHMderfulLife.com of Martine De Luna, held our second run of the Work at Home Weekend Expo, where different entities and small businesses and entrepreneurs joined to exhibit their products and services. We also had great talks from amazing speakers all throughout the day. For the entire year, Manila Workshops has ran 70+ events and we owe it all to you — sponsors, attendees, loyal customers, media, bloggers, etc. We couldn’t have done all of these without you. We still have a long journey towards helping people achieve their personal and professional or entrepreneurship goals. We have reached out to thousands of people this year and i’m hoping that we reach out and connect to tens of thousands this coming 2015. This year will be my third year as a full time entrepreneur. I will not tell you that it has always been a walk in the park. There are days that you will feel alone and depressed. There are times (countless times!) that I would break down and cry. People (even those who love you) will not agree with the decisions that you make. It will only be you and your dreams. But you just have to keep at it. You are the one in control of your destiny. You and you alone can make it happen. 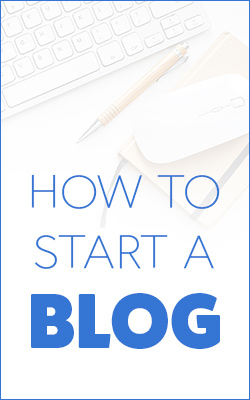 The Love the Leap program is for those who want to start their own businesses but don’t know where to start. I’m so happy that I got to launch this project this year. I started with a batch of 6 brilliant people. I’m hoping to be able to run more classes this coming 2015. My dream is really to be able to guide at least 500 aspiring entrepreneurs by 2020 and help them launch successful businesses. This is a big number but I really hope I can ahieve this. Well, let’s see. I’ll do my best and leave the rest to God. I’m really excited for 2015 and i’m actually getting ready for it. I love how everything changes once the clock strikes 12 tonight. Well, not everything. I have learned a lot of things this year about myself and from these things, I will make certain adjustments so that I can become a better person. I have become more confident; I am more in touch with what I want for myself. I have learned to love myself more. It sounds selfish but I realized that if I don’t love myself enough, I can’t reach the point where I can give others the love that they deserve. I have realized that it’s alright to say ‘no’. I have realized that time is such a valuable thing and it cannot be wasted. I have learned that in an instant, life can end and that each day should be lived to the fullest. I have enjoyed being more ‘present’ — I learned to enjoy my morning walk to the bank while intentionally noticing everything around me. I have learned to appreciate the cold December wind and the rustling of the leaves. I have learned how to let go, even for a while. I have learned that people will always speak out and tell you what they think, but it’s always best to do the things that make you happy. Last 2014, I have learned to stop and smell the roses. I have learned to love life and I’m now ready to make 2015 my year. Are you ready to make it yours, too? 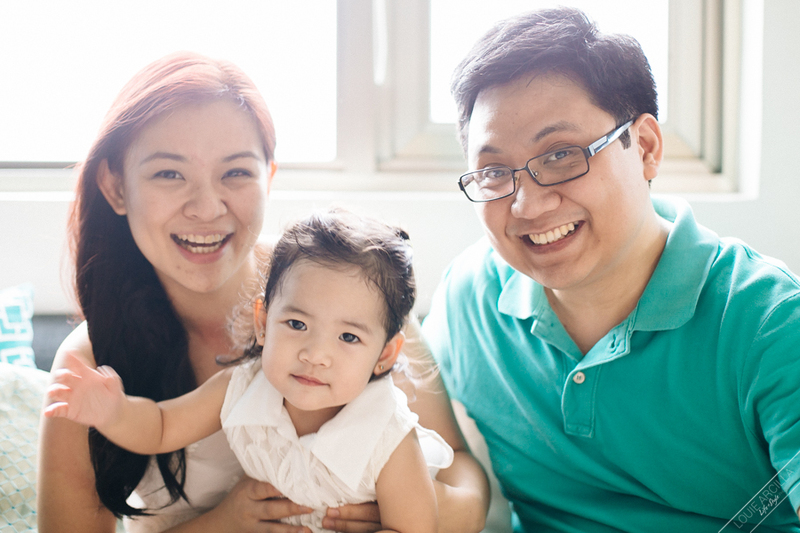 Happy New Year for Mommy Ginger, Baby Z and Dada Ej! I recently watched Gone Girl and that is seriously one F#@Ked up movie (sorry for doing that!). I rarely describe something using foul language, but for those of you who have watched that movie, you’ll know why I had to. Since I had more time over the holidays, I also started watching House of Cards, and again (for those who have watched it), I am speechless. Watching all of these dramas really affect you. I really watch telenovelas because I have always believed that it affects how you deal with real life. You become more emotional and sensitive to things and sometimes, you even tend to ‘add meaning’ to things just because you find yourself trying to pattern your life to these stories that you watch. I guess i’m lucky that I am quite aware of these things and intentionally, I try not to be over dramatic about things, just because I watch drama. Over these past few days, I have resolved to conquer 2015 head on, with a clear mind. Watching these stories made me think that I just want to view things in a simple and uncomplicated way and I’d like to approach things in a simple way, too. No drama. Also, I have resolved to be the best version of myself. I am not perfect. I am but human. I don’t take care of my things thus all these dust accumulating on my laptop. I recently got this fitness wearable from my husband for Christmas (MISFIT SHINE in a cute color — Coral) and yet I have managed in two days to scratch the surface. Now it has silver marks on it. I hardly take time out to take care of myself, thus I have been getting pimples again. For those who do not know, I was a pimply kid and teenager. So enough with that. I’ve had it. I am going back to taking care of myself and being more aware of what I do and what I need to do. One of the things that I decided to do is to have myself waxed — as in all gone. Okay, that sounded weird, but I’m taking into consideration that most of my readers are moms (obviously) or females so there is no shame in telling you about this. Why is it that we find it so taboo to talk about having Brazilians or just trimming areas that need to be trimmed. Face it, this is one important part of our lives that we need advice on, right? 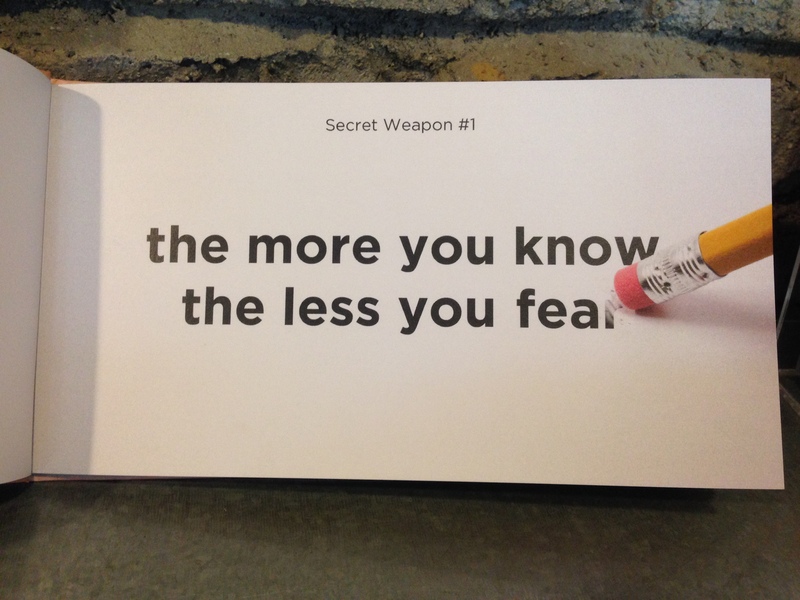 The more you know, the less you fear! They have a guide that you can read! 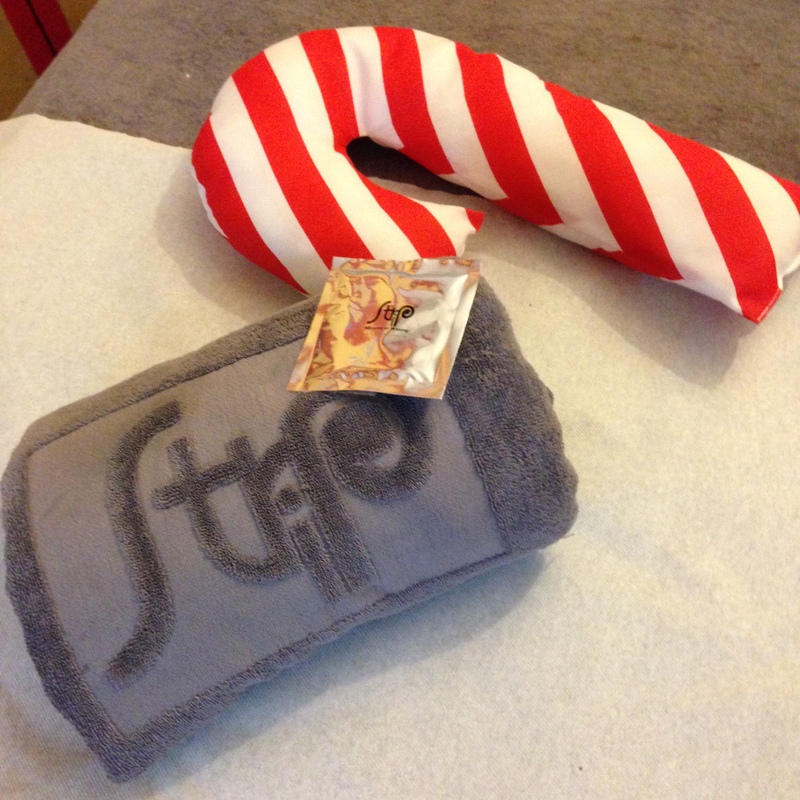 Oooh, we love you, too, Strip! I’m actually so glad that I found Strip years ago. Strip, Ministry of Waxing, offers a wide variety or treatments for that ladies and gentlemen (yes you heard me right!). 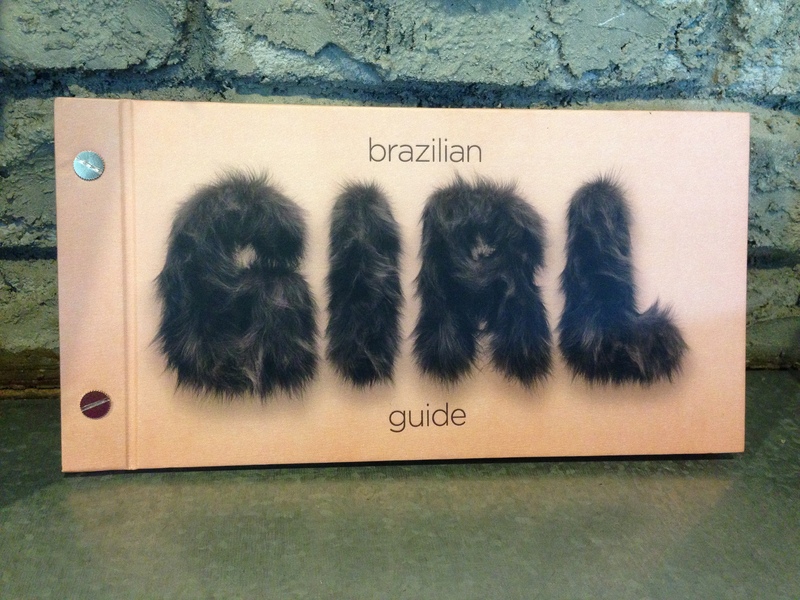 I recently tried a service that they called the Brazillian Facial. Sounds interesting, right? The Brazilian Facial is an innovative procedure that provides non-invasive exfoliation while delivering skin specific pharmaceutical grade topical solution to treat concerns such as dehydration, dull skin, acne and in-grown hair. The session started with the typical waxing session that I always have. I have frequented this place because so far, their staff and their method have been the ‘gentlest’ so far. I have tried quite a few and Strip has raise the bar so high that I have always compared the others to their service. 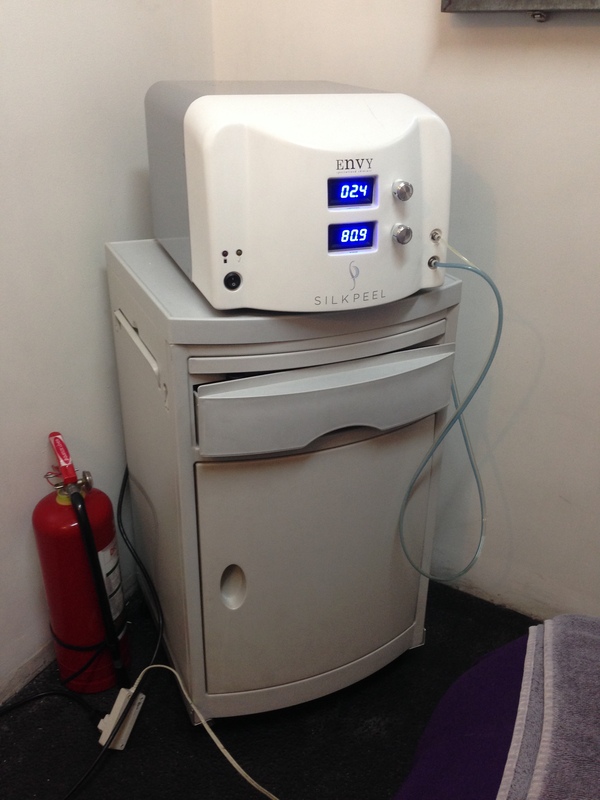 Okay, so after the usual waxing session, the staff turned on this machine. For those who have gone through a diamond peel treatment before, the procedure was quite similar. With this treatment, these concerns can be avoided: acne and / or in-grown hair, dehydrated skin and dull skin. This is my first step to my road to conquer 2015! If you want to try Strip’s services, they have three branches: Strip Serendra, Strip Greenbelt 5 (4th floor) and the newest branch, Strip Megamall. 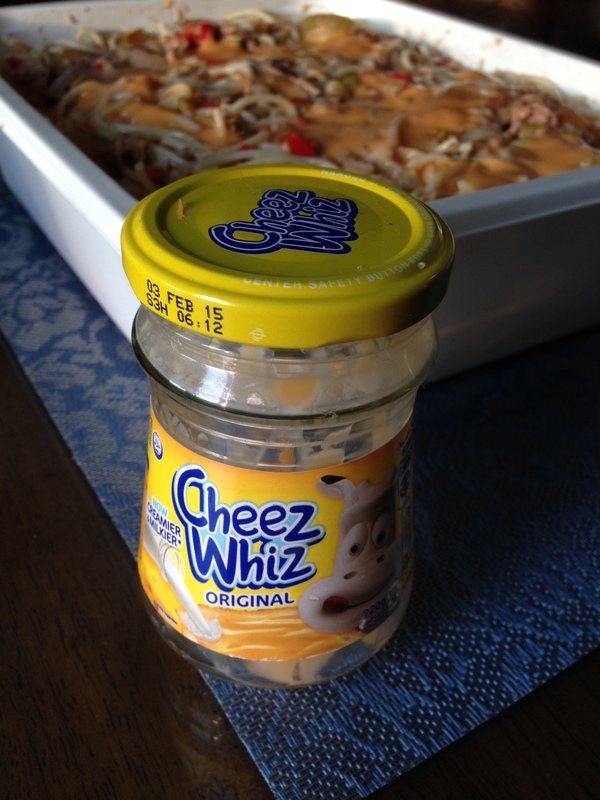 Cheez Whiz Tuna Pasta for the Mom who Tries! One of the things that I’m insecure of is that I’m not a homemaker. You know how it is in movies when they picture the mom to be the “super mom”. She’s always presented as the one who has the perfect home, the one who is amazing at cooking, the one who knits clothes for her children and one who does all the household chores. I am not any of those. My house is a mess, since I barely could find the time to fix it. I don’t know how to cook. I am not creative. I kid my friends that when God distributed creativity, I think I was on lunch break. I also have a helper who helps me do household chores. I do try to be the best mom that I could be. Believe me, I do try! Just last week, I tried creating something for my friends who were coming over for dinner. 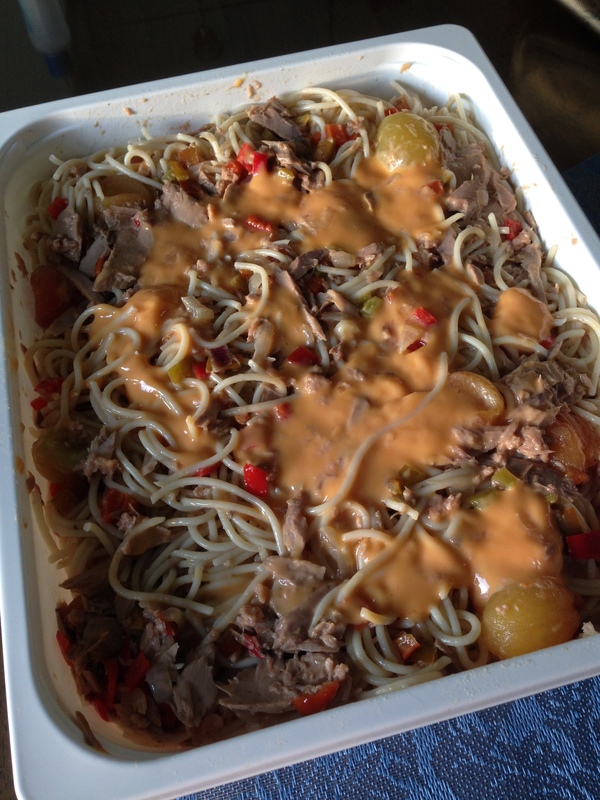 It was Tuna Pasta topped with Cheez Whiz. It’s really simple even for someone who doesn’t cook. 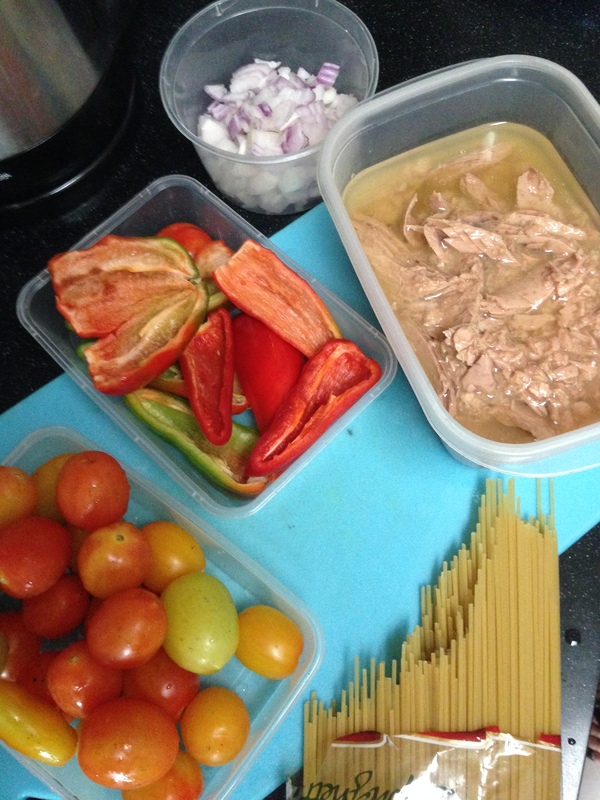 2) Saute the tuna, onions, bell pepper and tomatoes in a pan. Hope you like it! Cheers and Merry Christmas! I love to work with music playing on the background. I’m a fan of acoustic and old songs. I love listening (and really LISTENING) to the lyrics and I am amazed at how people come up with such beautiful rhythm for words that blend and make perfect sense. I am always at awe at how music can explicitly say how one feels and a given moment. I love listening to the lyrics of songs because for me each song is a message from the artist to us. It tells us of how they are feeling at a given time. Much like how bloggers are with their blogs. Songs included are all in my Spotify playlist, so I really loved it! This is one of their original songs that I love. Their style is just so refreshing and so unique. Even if they sometimes play covers, they inject their own style and their own take on it. I also love the chemistry between these two individuals. Each brings in ‘magic’ to their team. Both of them actually started as Vine stars. I love this interview of them. I am officially a super fan. If you get to read this, US the duo, I’d love to fix your concert here in Manila. I know that most of my events are expositions and seminars, but I will make an exception for you! I’d love to be the events provider for your concert if ever you visit Manila. Tell me what you think of their songs! I’m sitting at an empty couch at 7:00 am. I’m at the living room of a friend’s tita’s house in Tagaytay. It’s so cold and weirdly, I’m wearing shorts and a sleeveless shirt. I’m thinking that I need to get up to the second floor and get my jacket, but thoughts are just pouring out and I feel that I need to write it down. I decided to write about being grateful. I know that it’s such a simple topic and I guess some of you may think that writing about it is overrated, but I just noticed that most of us tend to forget to say thank you. In this fast paced world, we are used to things being customized, given and presented to us right away. With this, we tend to think that things are really made for us, so we take things for granted. During the long drive and during this short stay in Tagaytay, I thought of the so many things that I should be thankful for, so in this post, I decided to create a list of the things that I am thankful for. I am thankful for the rustling of the leaves outside which inspired me to write this article. I am thankful for those kisses planted on my forehead by my husband before he leaves for work while I’m still half-asleep. I’m thankful for that knock on the door every morning from my little darling who shouts “mama”. I’m grateful for the times when I get to play with my daughter and teach her about life through actions more than words. I am grateful for my mom and dad who always motivates and inspires me to do my best. I am grateful for my fun loving and spontaneous in-laws who always make me laugh with their super “bentang” jokes. I’m thankful for my titos and titas who are just adorable when they exchange viber stickers every morning — They are just so amazed with this newly found tool for communicating! Lol! I’m grateful for my sister and her great fashion advice. I am grateful for the numerous times she’s been there for me. I’m thankful for technology which makes my work easier. I am thankful for Uber because it takes me places even if I don’t know how to drive. I’m grateful for Spotify that I get to listen to this playlist on the background will creating this article. I’m grateful for the smell of coffee. I am thankful for coffee, period. I’m grateful for the people that I meet everyday and for the opportunities of collaboration. I am thankful for my business partners and the bright ideas that they come up with. I am thankful that these are people who have the same set of business values and the same set of beliefs when it comes to starting a business. I am thankful for intimate conversations with people especially when you get to see a side of them that you don’t ever get to see. I am thankful for my Manila Workshops team, both old and new directors and associates. 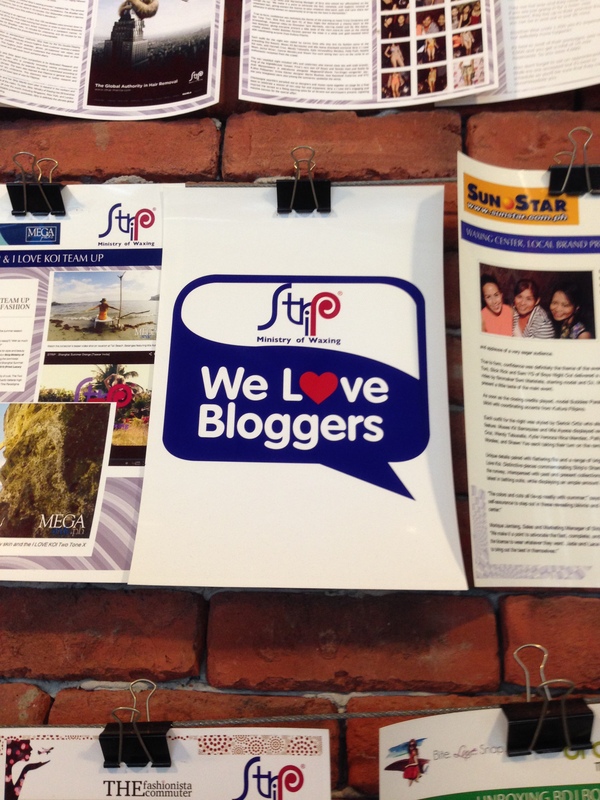 I may not often say this but each and every member is valuable and contributes to the success of Manila Workshops. 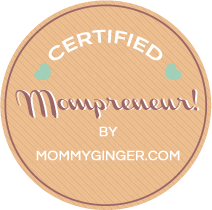 I am thankful that I have been given this chance to help entrepreneurs through Love the Leap and business coaching. I am thankful that people trust me to guide them in their businesses. I am thankful that people believe in continuous learning and I am thankful that I still find joy in learning. I am thankful that my heart is still restless as it continuous to seek for the next big things. I am thankful that I still crave for innovation and improvement. I am grateful that for my work-at-home life since I get to spend more time with my daughter. I am grateful that I have this blog where I can share things that I feel like this. I am grateful for brand sponsors who believe that I have what it takes to help them achieve their goals. I am thankful for my corporate experiences. I am thankful for all the hardships that I have experienced in the past. I am thankful that these are too many to list because all of these made me a stronger person. I am thankful that more and more people are realizing that they need to live the life that they want and more and more people are making steps to achieve that. 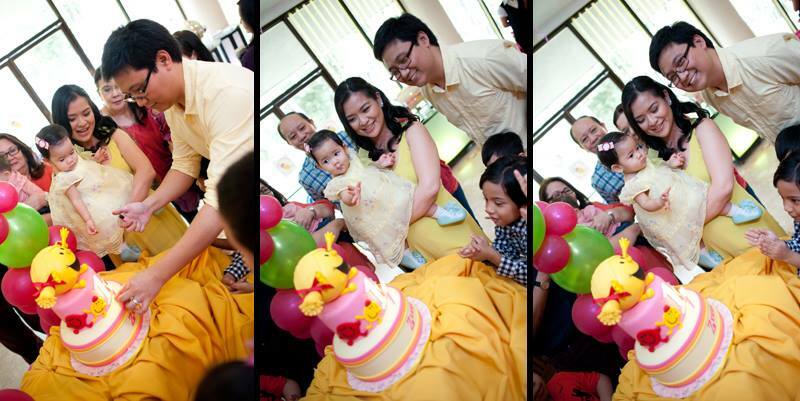 I am thankful to be part of the MakeitBlissful.com team, which makes me always find bliss in everything that I do. I am thankful for competition because I don’t get to rest on my laurels. I am grateful that in my mind, my “why’s” for doing things are clear and when the time comes that I need to change my “why’s”, I will be thankful because I know that somehow it will also be clear that it’s time to change it. I am thankful that I have my faith and God which I can turn to especially in times when I feel down and alone. I am thankful for realizing that there are so many things to be grateful for.